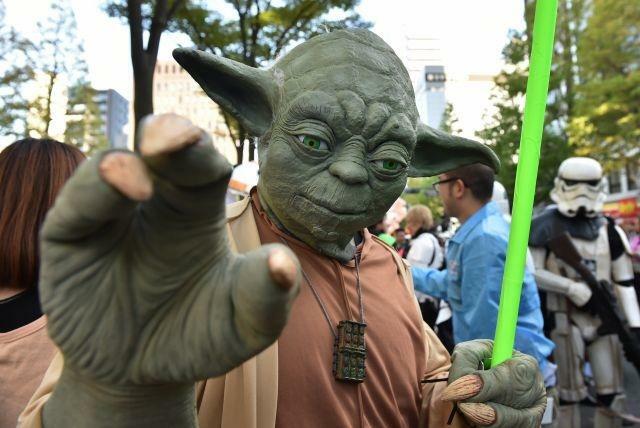 Expect to see armies of mini Storm Troopers, knee-high Darth Vaders and roving R2-D2s this weekend, as new stats reveals that Star Wars-themed costumes are poised to be the most popular this Halloween season. According to e-commerce provider SLI Systems, consumers in Canada, the US and Australia hit the internet looking up more costumes for Star Wars characters than any other movie including, "Minions" and "Frozen." In fact, consumers conducted twice as many costume searches for "Star Wars" than "Frozen," which was the most popular movie-inspired Halloween costume of 2014. For the ranking, number crunchers analyzed 10 million consumer searches between September 1 and October 20. The most popular non-movie costume searches this year were witches, pirates and zombies.